Just when I thought I couldn’t be more proud to be affiliated with this organization, last night happened. And Nolan and his lemonade stand happened. And Galloway and JD happened. And YOU happened. 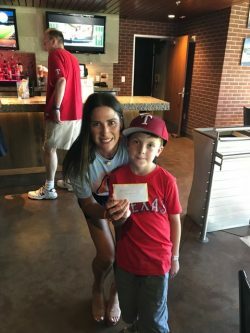 Every single one of you who volunteered, who showed up, who bought something, who spread the word about the work the Do It For Durrett Foundation is doing — YOU HAPPENED! And I am deeply thankful… every day, but especially today. Last night was remarkable in that we surpassed the million dollar mark in money raised, and our tally of families helped is 65 and counting. Wow. But the most important number remains one. One community created. We are not simply a non-profit foundation. We are a community. We are a family. And it has never been more evident than last night. 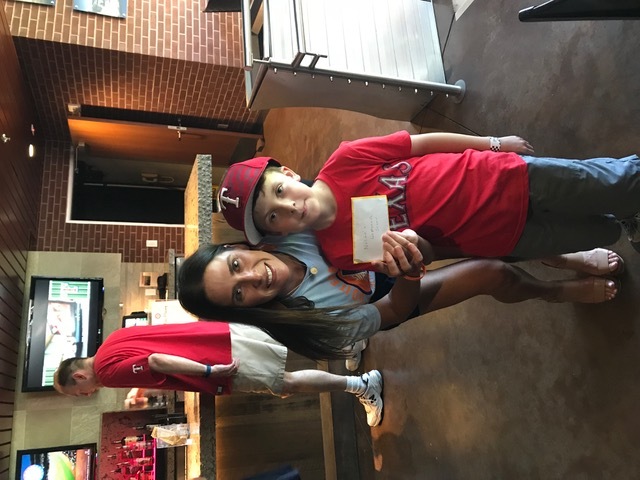 Accepting $500 in cold hard lemonade stand cash from a little boy named Nolan who came with his father all the way from Virginia (for the second year in a row I might add) is hands down my proudest moment as the president of this phenomenal organization. You know why? Because that is something Richard Durrett would have done. Yes, we are raising money. Yes, we are helping families. But to see the light of Richard so beautifully shining through Nolan last night damn near made my heart explode.